A light, nonfilling appetizer works best with a rich, cheesy lasagna, leaving your guests ready for the hearty entree after they finish the first course. Keep the starters small, or even bite-sized, to whet the appetite. And whether you serve finger foods, foods with toothpicks or foods to eat with a knife and fork, use small plates to make eating appetizers less messy. A vegetable appetizer balances a meat-filled lasagna. Opt for lightly blanched asparagus spears or sauteed zucchini strips with a splash of lemon juice to waken the palate before the heavy lasagna. Or toss cauliflower and broccoli with a few tablespoons of olive oil, salt and pepper and roast them in a hot oven set at 400 degrees Fahrenheit. Drizzled the veggies with balsamic vinegar before serving. Because lasagna is so hearty and may come with a side of garlic bread or bread sticks -- making it even more filling -- serve a small side salad as an appetizer starter. Balance lasagna's richness with a salad that includes tangy chicory or radicchio lettuce to contrast with a cheesy butternut squash lasagna. 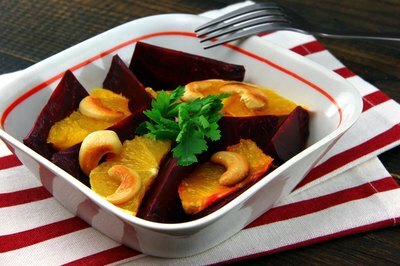 Or, go with a citrus based salad, with chunks or slices of oranges and beets, thinly sliced red onion, a few parsley leaves and crunchy, toasted cashews -- this salad pairs well with the flavors in a lasagna with spicy Italian, fennel-flavored sausage. Because lasagna is one of Italy's ancient recipes, according to Dana Bowen, a food writer for "Saveur," honor its status by serving Italian appetizers. 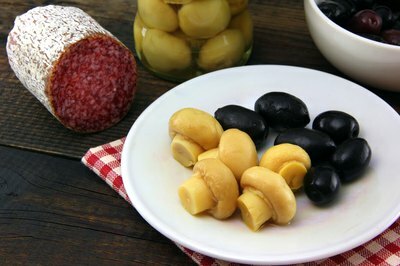 In an antipasto, include an assortment of salami, olives and marinated vegetables, such as mushrooms, cauliflower and red peppers. Make pickled vegetables yourself or buy an Italian mix called giardiniera. 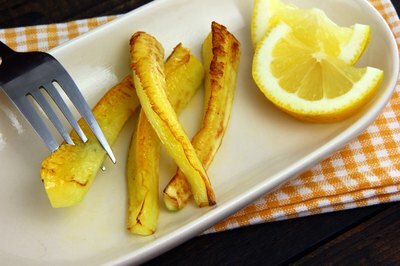 And because Italians traditionally serve both a protein and a pasta course, follow that tradition and serve a small shrimp cocktail or small bowl of clams as an appetizer -- these foods pair well with a vegetarian spinach or wild mushroom lasagna. 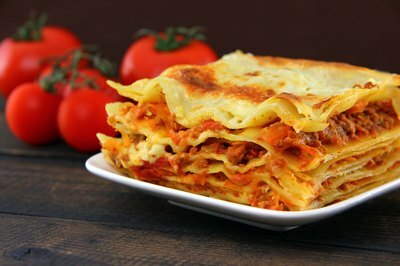 Play off the lasagna's color by serving red appetizers with a white lasagna and light-colored appetizers with a red lasagna. 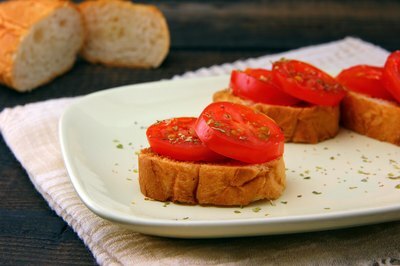 For example, serve bruschetta with a fresh tomato topping or a small cup of tomato-based clam chowder with a white-sauced lasagna. Reverse the appetizers for a tomato-based lasagna; serve a bowl of blanched almonds with the skins removed, a traditional ingredient in Sicilian cuisine, or serve a small portion of Tuscan white bean soup made with chicken broth to keep it light. What Finger Foods Work Best With a Sub Sandwich as the Main Food?